Let us start with a story. 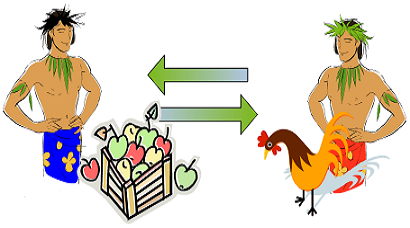 When no medium of exchange available people have to exchange something to get something which they need. This is called barter system. Barter system has its own problems. What if, the person does not require the goods offered by the other person? And If the goods which are on offer are not durable, then the produce got spoiled. So there is a necessity to store the value of goods. This is the starting point of the invention of the Money. Earlier days people traded salted fish, cattle, and even salt as money. With the invention of metals, people realized that it is beneficial to keep their value in metals as they are durable and possible to divide into small pieces. Then, There appears a person who trades gold for the goods of others. So the person who needs any goods change this into gold and may trade these gold with the goods which he intends to have. But people who got gold coins are finding it difficult to save. Thefts became common and people started searching ways to save their hard earned money. Then appeared a person who constructed a big vault firmly secured it with locks and kept it in the surveillance of armed men. This is called Bank. The Bank's main purpose is to save the gold of the people and charge a little bit as a fee. People started depositing money in this bank and Banker promised to pay their money whenever they need. To know how much each person saved in the bank, The banker has given a IOU with the number of gold coins deposited with the bank. People found these pieces of paper are extremely comfortable and easy for trading. 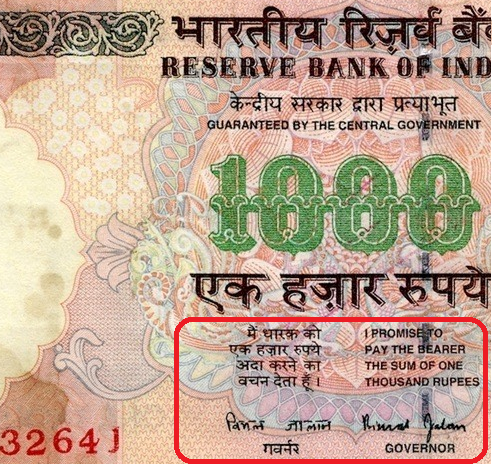 As time goes by, people started accepting these IOU's as money instead of gold. That is why even today bank notes carry the Banker's promise to pay the gold or equivalent. But today's banks won't trade these notes for gold. To know why, we will learn this later. Later along with the safekeeping the depositors money, Bankers also started giving loans for some interest. As the total demand of gold for daily transactions is not so high, they are able to given loans what ever amount is required. The problem came when the demand for the loans are too high, and no sufficient gold is not available in coffers. As no one is suspicious of the bankers activity, Bankers started printing more IOU's to give loans Because these IOU's are as good as gold to conduct trade. People soon realized that prices are going up day by day and every one is having these IOUs. Then all of them started demanding for their gold. But the banker did not have enough gold to pay to his creditors. He subsequently defaulted. This is called Bank Run. People who deposited money with this banker lost their money. As the number of banks started failing, The government started thinking about controlling the activities of these banks with a centralized system called Federal reserve or Central Bank ( In India it is called Reserve Bank). In 1913, The then US president Woodrow Wilson enacted a law for the formation of Federal Reserve. Printing of money will be done only by Federal reserve. The Federal reserve gives guarantee for the money. People can take their gold back by depositing the Dollars in the bank. Below given a 10 dollar note in gold coin. The US dollar is pegged to gold at $20.67 per oz. The British pound is pegged to gold at £4.2747 per oz. Therefore the exchange rate can be determined. With this system in place, world trade also became more predictable. Foreign countries which trade with USA can redeem their dollars in Gold when ever they need. What happens If government needs more money and they don't have enough gold to back up these dollars? We will see in the next article.